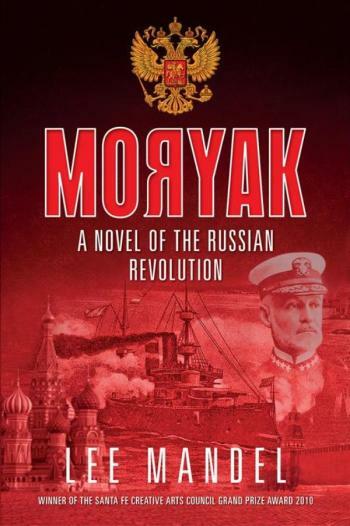 Lee Mandels historical novel Moryak revolves around the story of Lieutenant Stephen Morrison, a naval officer sent by President Theodore Roosevelt on a top-secret mission in 1905. Morrisons assignment is to work with British agent Sidney Reilly to kidnap Tsar Nicholas II and remove him from Russia before he can sabotage the upcoming Portsmouth Peace conference. The mission goes awry and Morrison is captured and sentenced to death. Through a quirk of fate, he is instead sent to the infamous Russian prison on Solovetsky Island. There, his increasingly violent nature eventually allows him to dominate the camp as Moryak (Russian for Sailor). He soon catches the attention of the Bolshevik prisoners and their growing interactions come to have devastating effects on the evolving revolution in Russia, as well as the Allied war effort as the world descends into the chaos of World War I. As events unfold and secrets are unveiled in an uncanny political intrigue, Moryak in fact tells the life story of one mans struggle for acceptance, him finding his place and finding himself.